As I was arriving and leaving by train so stayed near the Warsaw train station another option would be to stay in Warsaw Old Town. You can see the Palace of Culture and Science from anywhere in Warsaw and it’s the tallest building in Poland. The building was constructed between 1952-55 by the Soviets and was a gift to Poland from the Soviet Union. It was originally called the Stalin Palace of Culture and Science but the name Stalin has since been removed. Many buildings in the modern day Russia, Belarus and the Ukraine are of a similar architectural style to that of the Palace of Culture and Science. I found Warsaw to be just about walkable but if you prefer there are trams and an underground metro service. Warsaw has it’s own hop on hop off bus service. 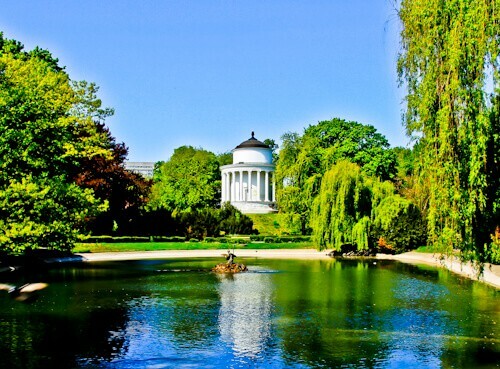 Lazienka (Royal Baths) Park is the largest park in Warsaw and the 3 major points of interest are the Ujazdow Castle, Lazienka Palace and the Chopin Statue. On a calm sunny day Lazienka Palace offers perfect reflection photography as there is a lake in front of it. The Ujazdów Castle dates back to the 13th century but like many buildings in Warsaw was destroyed in the war and reconstructed shortly afterwards. I must note that the castle looks more beautiful in old pictures than it does in today’s reconstructed state, still it’s worth a visit and a snap. 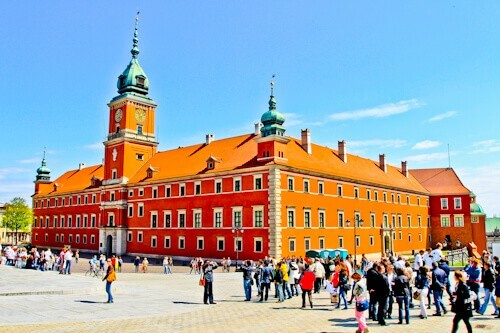 As you enter the old town of Warsaw you’ll pass the Royal Castle which is a UNESCO world heritage site. The Royal Castle used to be the residence of the Polish Royal family. An interesting fact about the Royal Castle is that Napoleon Bonaparte stayed there for a couple of months in 1806/07. The monarchy of Poland was abolished 1918 and the Royal Castle destroyed during the second world war. Since being rebuilt the Royal Castle has been donated many pieces of art from all over the world and now hosts a museum. 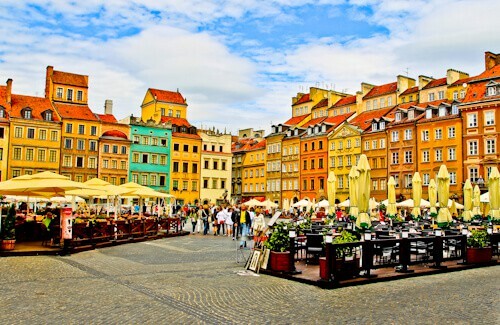 In the old town square of Warsaw you’l be surrounded by picturesque traditional and colorful Polish houses. It’s hard to believe that during the second world war the old town square was completely destroyed. After the war however the old town square was restored to how it previously looked. There is a famous mermaid statue in the central square called the Warsaw Mermaid, it’s about the same size as the mermaid in Copenhagen but this one is not in the water. Tourists line up in the old town square to get a photo with the mermaid. Poland was the first country invaded by Germany at the very start of the second world war. The Polish really suffered during the war, especially the Jews living in Poland at the time. Nearly all the points of interest I have written about were destroyed and rebuilt during this period. If you are a world war enthusiast then you must visit the Warsaw Uprising Museum. In August 1944 the Polish fought back against German occupation, the results are documented with eye witness accounts and photos in the Warsaw Uprising Museum. 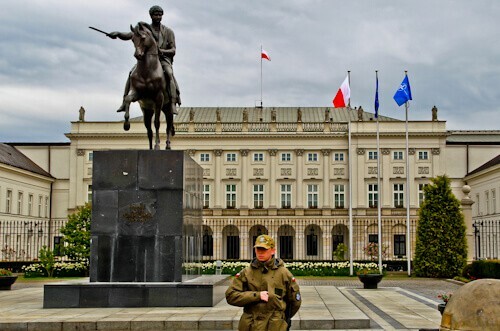 The Presidential Palace is a building which survived the second world war, the reason it survived whilst so many others were destroyed is because the Germans were using it. A visit to the Presidential Palace is the equivilant to visiting the White House in Washington or 10 Downing Street in London. You can visit the Presidential Palace on a guided tour but you must email them and organize it well in advance. For football fans it’s possible to visit the National Stadium of Warsaw which hosts Poland’s national football games. Known as the PGE Narodowy stadium it has a retractable roof and hosted Germany versus Italy in the semi final of Euro 2012. From Warsaw I took the train south to Krakow, there are regular departures from Warsaw train station. There is a reliable bus service between Warsaw and Krakow which is significantly cheaper than the train. Both the train and bus take around 3 hours to get to Krakow. You have captured great photos of Warsaw. There is so much history in Palace of Culture and Science. There are also amazing views near the palace. I would love to visit Poland. Warsaw has so much history. It’s incredible they have rebuilt the old town to mimic what was destroyed in the World War. I am a history enthusiast and so Warsaw Uprising Museum would be on my list of places to see. Poland sounds fascinating- so much history. I love the colours and reflections in your photo of Chopin Statue in the Park. I had no idea Warsaw had the UNESCO site! I love them and from your pictures it seems I would love the Royal Castle too. Good to know I can take the hop-on-hop-off bus to get around! I am glad you had good time in Poland! Thats where I am from ! Ive been in Warsaw many times such a nice city but I prefer Krakow more, ! I hope you had a good time there as well! Love the photos! My parents are from Europe and Poland is one country I still have on my bucket list to visit. The town square is beautiful and who wouldn’t want to visit the Royal Castle! It’s great that you can take the hop-on hop-off bus to see the sites. I think I’m more blown away by the fact that everywhere is so colourful. It’s beautiful. I never really thought of Poland as being such a colourful place! Makes me want to go ASAP! I’m really hoping to visit Poland sometime within the next year – super helpful post about Warsaw and what to see in the area. The Old Town Marketplace definitely seems right up my alley and I do like the hop on/off bus tours! 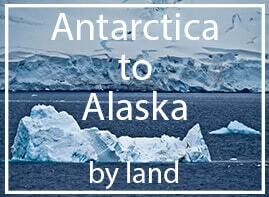 I love it that your blog focuses on land travel. One of my good friends, who will be traveling with me over the next year, is all about trains. Your posts will really help us map our travels out! Cheers! This is very fascinating! I hope some day I can travel and experience it for myself. Warsaw is a really historic as well as a pretty interesting place to visit for a traveler. It has a lot of historic places as well as some of the world heritages in it. Especially the palace of culture and Science was one thing that caught my eye. The trip was really amazing I think . The photographs attached are really beautiful. 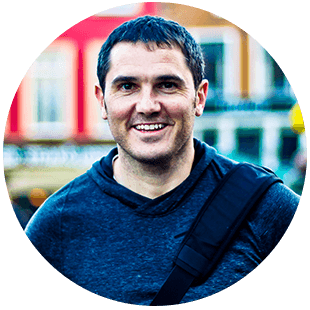 I’ve never been to Poland but really enjoyed your blog. Great photos! This looks like such a beautiful place to visit! Łazienki Park looks especially beautiful. I am organizing our next family trip through Eastern Europe! it will be our first time to travel through this part of Europe, I’m planing to Go to Checz Republic, Poland and end the trip in Russia. I still haven’t got the reservation but your information is really useful! thank you! Very good guide to Warsaw! I was lucky enough to visit the city for a few snowy days in April 2013 (apparently the coldest April in decades…). I would make one correction: The Warsaw Uprising Museum is not only for WWII enthusiasts, anyone can benefit from visiting the exhibition, be it to learn about Warsaw’s history, WWII, or the crimes committed by Nazi Germany. That is so majestic, I wish I can visit Poland someday. It should be on my bucket list! Great Shot! Looks like a great place to wander around. I didn’t realize Warsaw was UNESCO, no wonder though, so much history! Wow. It looks like you had a fascinating trip. I loved looking through all of your beautiful photos! You know, Warsaw gets a lot of flack for not “being cool,” but I actually really enjoyed my time there. The city was destroyed and had to be rebuilt, but rebuilt it was, and it’s got an edge to it! Thank you so much for the virtual tour. This looks just amazing and right up my alley. The castles, especially the Royal castle looks like a place that I really would love. And definitely, the HOHO bus is going to be my choice of transport for the tour. I am so glad you visited my city! May I suggest some small corrections? We call the Park “Łazienki” in plural, as “łazienka” would be just ordinary bathroom, not the official “Baths”. Your photo of Chopin is actually of the lake in the Saski Gardens, not Łazienki. 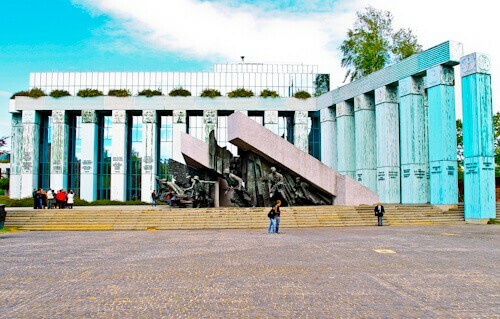 The photo of the Uprising Museum is of the Uprising Monument which is in front of the Highest Court, the Uprising Museum is in another part of the town and it is indeed mind-blowing. Polin is also a captivating place, one of the best museums in the world, and voted the best in Europe. You need many hours (or a few visits) to fully discover its potential! Wow, your photos are beautiful 🙂 I have also been to Warsaw few weeks ago and I loved the city, even though I had mixed feelings before going there. But it has pleasantly surprised me. I went there with my wife and we were both delighted. It was also our anniversary, so I looked up some recommendations and have organized us a romantic dinner in a restaurant called the Akademia. It was great, so romantic and elegant. And the food was delicious, I still remember their amazing pierogi. We were both so impressed. I hope that we will be able to visit Warsaw again soon.